Can you imagine being bit 120,000 times per day? It might be hard to imagine what this feels like, however during peak timeframes, as many as 4,000 horn flies can call a cow’s hide home. At 30 blood meals per day, that adds up to 120,000 bites per cow. Not only are these bites irritating your cows, but with production losses for the U.S. cattle industry are estimated at up to $1 billion annually, they’re also biting away at your profits. High horn fly populations can cause blood loss and increased cattle stress or annoyance. 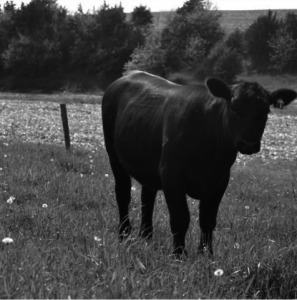 Annoyance can cause cattle to use their energy to combat flies, change their grazing patterns and cause cattle grouping. Ultimately, it can lead to decreases in milk production, causing a reduction in calf weaning weights. From ear tags and pour-ons to mineral or feed supplements with fly control, there are a lot of different ways to manage flies and each solution has a place in the industry. But, the best places to start is by breaking the horn fly life cycle in the manure. One of the most convenient and consistent ways to control horn flies in cattle is giving them a mineral supplement that contains an Insect Growth Regulator (IGR). An IGR passes through the animal and into the manure, where horn flies lay their eggs. It breaks the horn fly life cycle by preventing pupae from developing into biting adult flies. Using mineral supplements with an IGR can help reduce expenses, labor and stress on your cattle that other methods can cause. Cattle don’t need to be rounded up or handled, since IGR is consumed by the animal and fly control is spread through its manure as it grazes. It also provides consistency, as cattle are regularly consuming IGR through their mineral. Fly control mineral should be fed 30 days before the last frost of spring, before fly emergence. This 30-day window at the beginning of spring is critical, because temperatures can fluctuate to levels that cause flies to emerge. Once those flies are present, you want to have fly control in the manure. While heavy emphasis is placed on controlling flies in spring and summer, it’s important to finish strong in the fall. Horn flies overwinter in the pupal stage, which can jump-start adult populations in the spring. Using fly control mineral longer in the fall decreases the opportunity for flies to overwinter in the soil and reduces large fly populations the following spring. Mineral should continue being fed through summer and 30 days after the last frost in the fall. There are many forms of fly control mineral available, but it’s important to choose one that can stand up to the unpredictable weather that spring brings. Rain and other elements can quite literally wash your mineral investment down the drain, or turn your mineral into a brick-type substance which cattle often refuse to eat. Look for a fly control mineral that can withstand the weather. A weatherized mineral should have a large particle size and adequate water and wind resistance. Using a fly control mineral this spring can help keep fly populations down, but only if cattle are consuming it. If you’re not seeing consumption because the mineral has been turned into a hard block or because the particles are being blown away, then your investment is a loss. This entry was posted on Monday, April 10th, 2017 at 6:28 pm	and is filed under Uncategorized. You can follow any responses to this entry through the RSS 2.0 feed. Both comments and pings are currently closed.